To raise funds for the Cape Dachshund Rescue, Truman & Orange will be holding their first Pop-Up Charity event on 4 August, hosted by Orphanage and Tito’s Handmade Vodka. If drinking delicious cocktails in aid of helping Dachshunds isn’t enough of a reason to pop past the Pop-Pup event, other guests include some sociable Dachshunds and eight pin-up girls from Dusty Rebels and the Bombshells who will be operating a kissing booth to help raise additional funds. 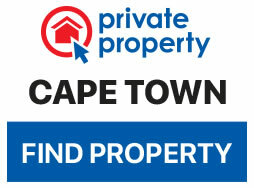 They will also be raffling a hamper of dog goodies sponsored by Tito’s. A micro-distillery in Austin, Texas, that produces craft vodka so smooth you can drink it neat, while supporting man’s best friend. Tito’s Handmade Vodka mission is clear – to unite friends, fans and partners to better the lives of pets and their families, backed by solid investment in charity work. In the last year alone, Tito’s Handmade Vodka has partnered with over 6 000 charity organisations many of which involve animal welfare. Tito’s Handmade Vodka in Austin, Texas, has committed to matching whatever funds are raised at the Pop-Pup Charity Event at Orphanage on 4 August from 4pm – 8pm up to R15 000 in total. Brand Ambassador, AJ Snetler, will be whipping up Tito’s cocktails for R65 each and 100% of the proceeds will be donated to Cape Dachshund Rescue. Orphanage has partnered to host the event and a Cape Dachshund Rescue ambassador will give a brief talk on the organisation and explain how they will be using the funds raised. 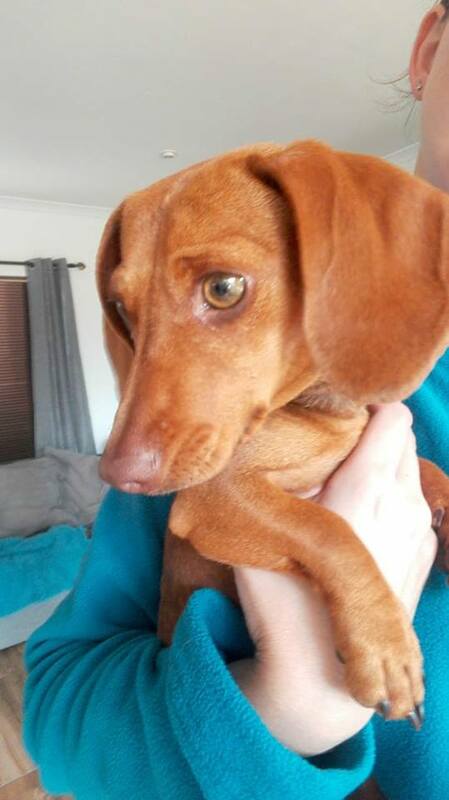 Cape Dachshund Rescue is an organisation (with branches in Gauteng, Eastern Cape and the Western Cape) consisting of many wonderful people who, on a voluntary basis, foster homeless or ownerless dachshunds and dachshund crosses. Fostering means that these precious fur babies go to loving temporary pre-approved homes and not kennel shelters. 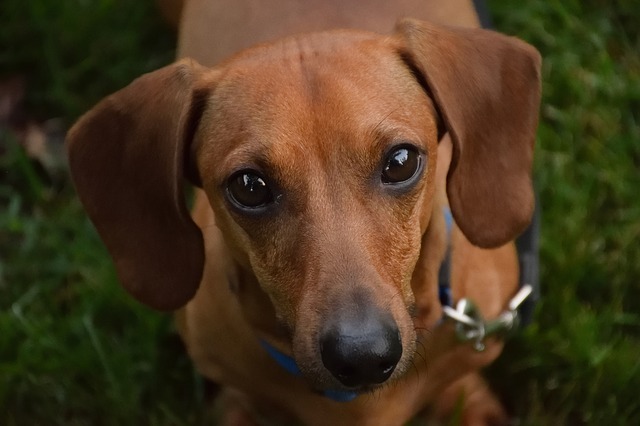 Cape Dachshund Rescue covers all the medical costs involved in ensuring that each of the dogs that leaves their care is 100% medically sound or at the very least, diagnosed. They are very proud of their full disclosure policy if the dog adopted carries or suffers from a chronic pre-existing illness. The rescue operation is heavily reliant on the public’s generosity to cover the ever-escalating veterinary costs as the adoption fee charged sustains only the very basic of medical. They have recently been recognised as a beneficiary of My School, My Village and My Planet which provides a small growing monthly income. They also run raffles, sell doggie items (such as Boggy’s Cushion) and host their Mini Mutt Strutt, a fun dog show which takes place annually in November. Willem (6) a rescue fur baby at Cape Dachshund Rescue. On average, they re-home about thirty dogs a month, checking all prospective homes prior to adoption with very strict adoption criteria and an airtight return clause. 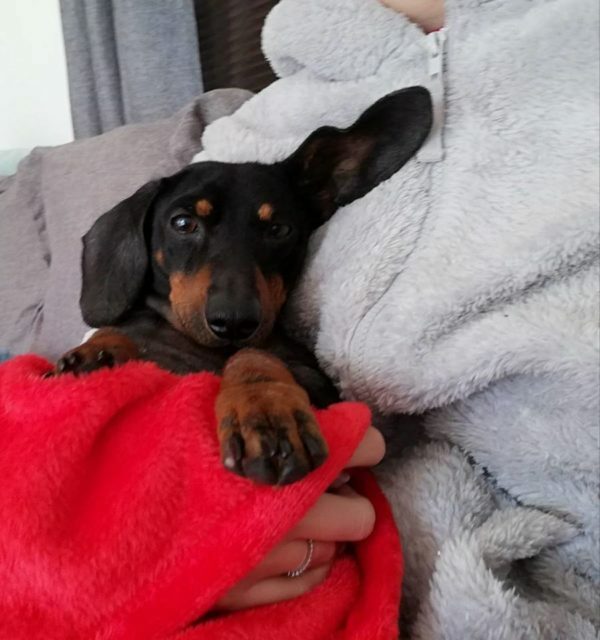 An offshoot of the organisation is Cape Dachshund Rescue Outreach, regularly goes into financially challenged Kris Nissen Park to steriliseand treat sick dogs and teach owners about the care of their much-loved pets. They currently have about 100 dogs in their care and you can find out more on their website.